Andnbsp; Stunning audio, brilliant images, and dual SIM capability. And a breathtaking 5.5Andrdquo; HD display for detailed graphics, smooth games, and amazing videos. The HTC Desire 728G dual sim: designed to entertain. 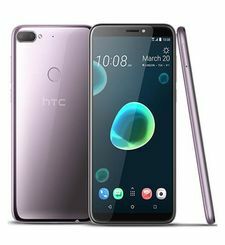 Eye-pleasing 5.5Andrdquo; HD screen displays breathtaking images, and ear-pleasing HTC BoomSoundAndtrade; with Dolby AudioAndtrade; Surround delivers rich audio from speakers and headphones. 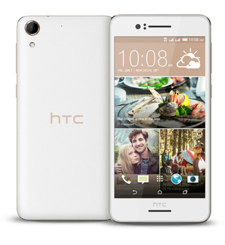 Pre-loaded with Android for Work, the HTC Desire 728G dual sim features data and privacy control as well as separate work and personal apps. Powered by a rapid-charge 2800 mAh battery, youAndrsquo;ll stay connected and in the game with the HTC Desire 728G dual sim. Capture sizzling photos and videos in virtually any lighting situation: 13 MP main camera and 5 MP front-facing camera both shoot videos in 1080p for footage youAndrsquo;ll want to show off. Backside illumination, f2.2 aperture, and 28 mm wide lens capture every detail and smile. 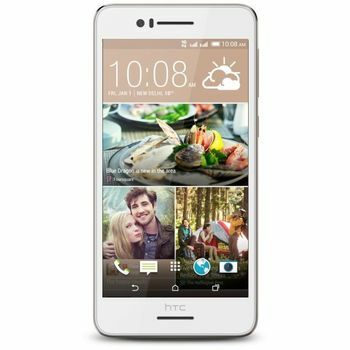 The HTC Desire 728G dual sim comes with built-in HTC EyeAndtrade; Experience software and Photo Editor setting for artistic editing control, and HTC OneAndtrade; Gallery for easy photo search and organisation. The HTC Desire 728G dual sim features HTC SenseAndtrade; Home: a homescreen widget that identifies your location and presents apps you use most, when you need them. 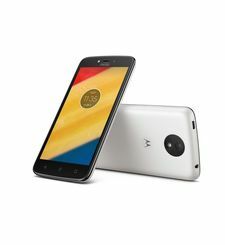 Customise your phoneAndrsquo;s appearance Andndash; from its wallpaper, ring tones, and even icons Andndash; based on your favourite photo. With HTC Themes, you can create a unique look all your own. 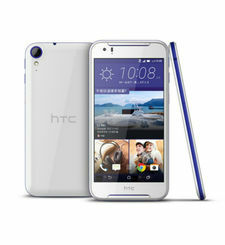 HTC BlinkFeedAndtrade; is a personalised info feed that continually updates throughout the day. Your social network posts, breaking news and more, are only a glance away. Andnbsp; Stunning audio, brilliant images, and dual SIM capability. And a breathtaking 5.5Andrdquo; HD display for detailed graphics, smooth games, and amazing videos. The HTC Desire 728G dual sim: designed to entertain. FOR PLAY, AND FOR WORK Eye-pleasing 5.5Andrdquo; HD screen displays breathtaking images, and ear-pleasing HTC BoomSoundAndtrade; with Dolby AudioAndtrade; Surround delivers rich audio from speakers and headphones. 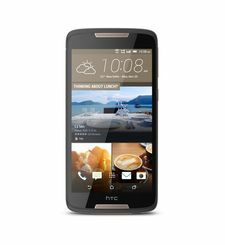 Pre-loaded with Android for Work, the HTC Desire 728G dual sim features data and privacy control as well as separate work and personal apps. Powered by a rapid-charge 2800 mAh battery, youAndrsquo;ll stay connected and in the game with the HTC Desire 728G dual sim. 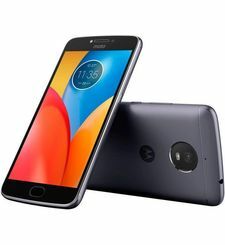 BRILLIANT IMAGING Capture sizzling photos and videos in virtually any lighting situation: 13 MP main camera and 5 MP front-facing camera both shoot videos in 1080p for footage youAndrsquo;ll want to show off. Backside illumination, f2.2 aperture, and 28 mm wide lens capture every detail and smile. 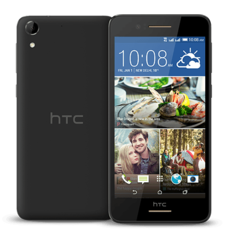 The HTC Desire 728G dual sim comes with built-in HTC EyeAndtrade; Experience software and Photo Editor setting for artistic editing control, and HTC OneAndtrade; Gallery for easy photo search and organisation. 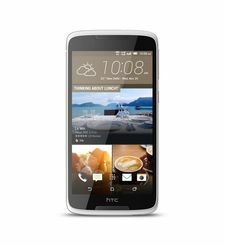 PERSONALISED FOR YOU The HTC Desire 728G dual sim features HTC SenseAndtrade; Home: a homescreen widget that identifies your location and presents apps you use most, when you need them. Customise your phoneAndrsquo;s appearance Andndash; from its wallpaper, ring tones, and even icons Andndash; based on your favourite photo. With HTC Themes, you can create a unique look all your own. HTC BlinkFeedAndtrade; is a personalised info feed that continually updates throughout the day. Your social network posts, breaking news and more, are only a glance away.